From the dramatis personae of the opening pages—the Suspect Paintings, the Authentic Painting and the Individuals—I was taken by this story of true crime and courtroom drama. Who would want to fake a painting by Brett Whiteley? Who would want to handle it? And more importantly, who would make money from it? These are the questions arts journalist Gabrielle Coslovich investigates in this remarkable case of alleged art fraud in Australia. From the exposure of the alleged fake paintings to the court case and subsequent appeal, Coslovich’s account spans several years and features a large cast: backtracking art dealers who want to protect their reputations; inexperienced police who are reluctant to work outside their usual remit; and a judge who isn’t interested because it’s only art. Although the judge advises the jury to dismiss the case, the two defendants are found guilty—only to be freed in a subsequent appeal. 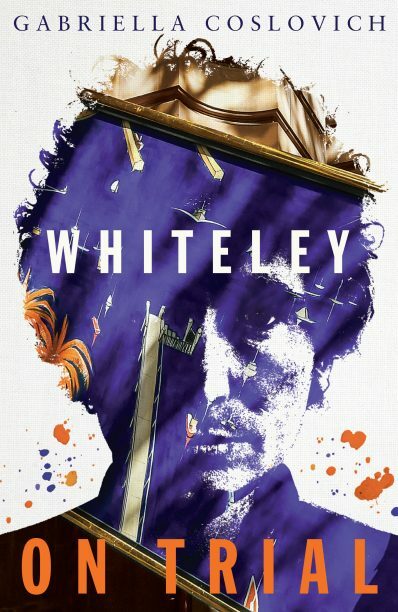 The shady world of art dealing is fully exposed in this brilliant piece of writing that will interest true-crime enthusiasts, Brett Whiteley fans and anyone interested in the legal process. Wendy Whiteley’s cameo appearance adds glamour to the story.